Super Bowl Sunday has finally arrived. 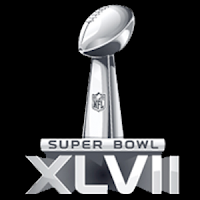 The Super Bowl 2013 is bringing again a huge line-up of high profile Super Bowl ads that are the most entertaining ads you will see all year. If you are not close to a TV, you still can watch the Super Bowl 2013 live and see all the Super Bowl ads. The NFL is streaming the Super Bowl 2013 live online once again. Last year more than 2 million watched the Super Bowl online in the United States. The live stream is only available again in the US, leaving international Super Bowl fans stuck with local TV broadcasts. CBS’ Super Bowl on CBSSports.com will kick off on Sunday, February 3rd with Super Bowl XLVII live from New Orleans and will feature CBS Sports’ exclusive broadcast coverage of the game with JIM NANTZ (play-by-play) and PHIL SIMMS (analyst) calling the action.